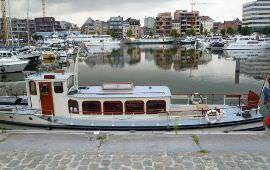 Saloon boat Juntien lies in Terherne. On this ship is room for 6 persons. With this boat, you can sail here: Frisian lakes. 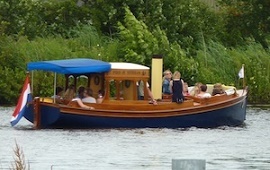 Saloon boat Kaprifolia lies in Amsterdam. On this ship is room for 8 persons. 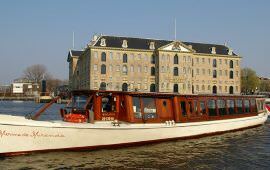 With this boat, you can sail here: Amsterdam canal cruise, The IJ, Amstel. Saloon boat Sarah lies in Amsterdam. On this ship is room for 12 persons. With this boat, you can sail here: Amsterdam, Amsterdam canal cruise. 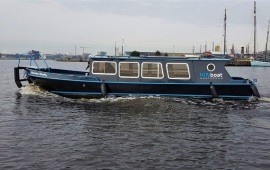 Saloon boat Kin 12 lies in Amsterdam. On this ship is room for 12 persons. 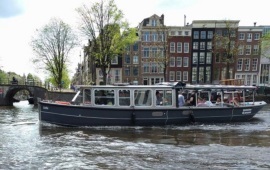 With this boat, you can sail here: Amsterdam canal cruise, The IJ. 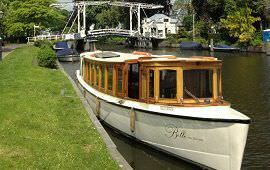 Saloon boat Britannia lies in Amsterdam. On this ship is room for 12 persons. With this boat, you can sail here: Amsterdam, Amsterdam canal cruise, The IJ. 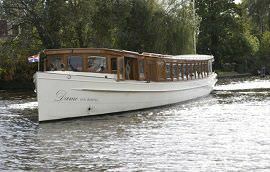 Saloon boat Ivresse lies in Amsterdam. On this ship is room for 12 persons. 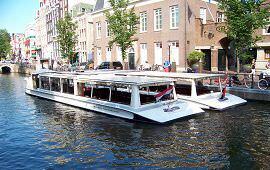 With this boat, you can sail here: Amsterdam canal cruise, The IJ, Amstel. Saloon boat Marjet lies in Amsterdam. On this ship is room for 12 persons. 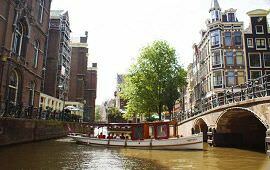 With this boat, you can sail here: Amsterdam canal cruise, The IJ. Saloon boat Swan of Teynham lies in Terherne. On this ship is room for 12 persons. 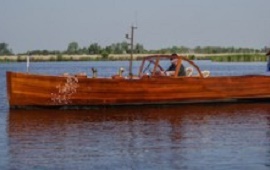 With this boat, you can sail here: Frisian lakes. Saloon boat Senathor lies in Rotterdam. On this ship is room for 12 persons. With this boat, you can sail here: Rotterdam, Rotterdam - Binnendams (Noordkant), Rotterdam - Maas. 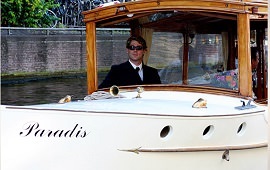 Saloon boat Paradis lies in Amsterdam. On this ship is room for 12 persons. 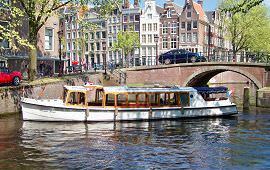 With this boat, you can sail here: Amsterdam canal cruise, The IJ, Amstel. 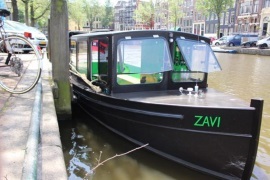 Saloon boat Zovia lies in Amsterdam. On this ship is room for 12 persons. With this boat, you can sail here: Amsterdam, Amsterdam canal cruise. Saloon boat Valentijn lies in Amsterdam. On this ship is room for 19 persons. With this boat, you can sail here: Amsterdam canal cruise. Saloon boat Emma lies in Amsterdam. On this ship is room for 20 persons. 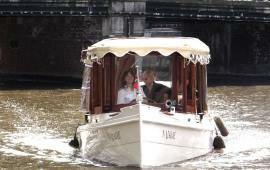 With this boat, you can sail here: Amsterdam canal cruise, Amstel. 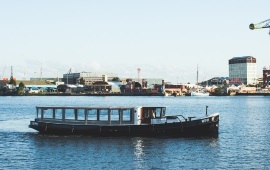 Saloon boat Najade lies in Amsterdam. On this ship is room for 20 persons. With this boat, you can sail here: Amsterdam canal cruise. 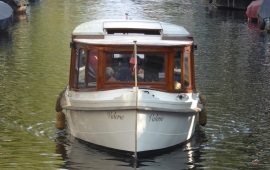 Saloon boat Valerie lies in Amsterdam. On this ship is room for 20 persons. With this boat, you can sail here: Amsterdam, Amsterdam canal cruise. 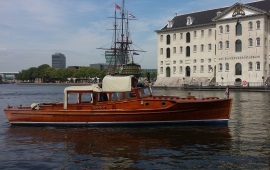 Saloon boat Griffioen lies in Amsterdam. On this ship is room for 20 persons. With this boat, you can sail here: Amsterdam canal cruise, The IJ, Amstel. Saloon boat Aagje Deken lies in Amsterdam. On this ship is room for 25 persons. With this boat, you can sail here: Amsterdam, Amsterdam canal cruise, The IJ. Saloon boat Mona Lisa lies in Amsterdam. On this ship is room for 25 persons. With this boat, you can sail here: Amsterdam canal cruise, The IJ. 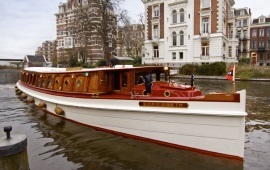 Saloon boat Belle Epoque lies in Amsterdam. On this ship is room for 28 persons. With this boat, you can sail here: Amsterdam canal cruise, The IJ, Amstel. 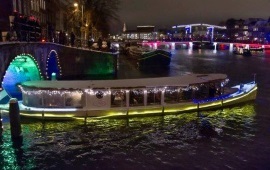 Saloon boat Jean Schmits lies in Amsterdam. On this ship is room for 30 persons. With this boat, you can sail here: Amsterdam canal cruise, The IJ. 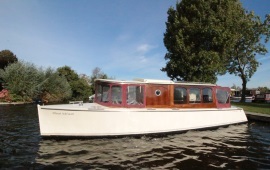 Saloon boat Ondine lies in Amsterdam. On this ship is room for 30 persons. With this boat, you can sail here: Amsterdam canal cruise. 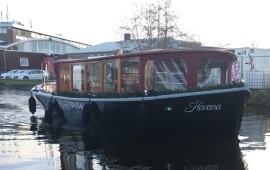 Saloon boat Havana lies in Amsterdam. On this ship is room for 30 persons. 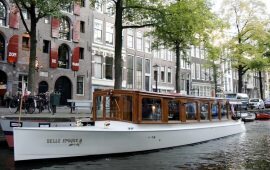 With this boat, you can sail here: Amsterdam canal cruise, Amstel. Saloon boat Iris lies in Amsterdam. On this ship is room for 30 persons. 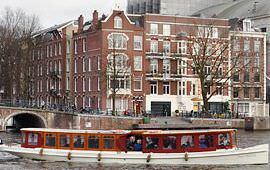 With this boat, you can sail here: Amsterdam canal cruise, The IJ, Amstel. 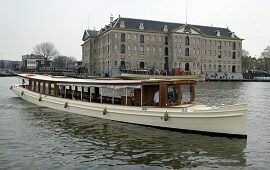 Saloon boat Belle van Zuylen lies in Amsterdam. On this ship is room for 30 persons. 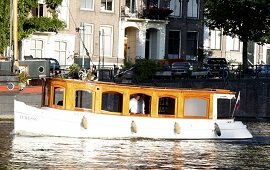 With this boat, you can sail here: Amsterdam canal cruise, The IJ, Amstel. Saloon boat Sofia lies in Amsterdam. On this ship is room for 32 persons. With this boat, you can sail here: Amsterdam, Amsterdam canal cruise. Saloon boat Stan Huygens lies in Amsterdam. On this ship is room for 36 persons. With this boat, you can sail here: Amsterdam canal cruise, The IJ. 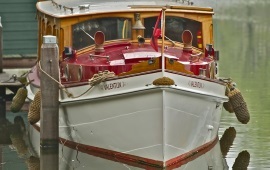 Saloon boat Ms. Agatha lies in Amsterdam. On this ship is room for 36 persons. With this boat, you can sail here: Amsterdam, Amstel. Saloon boat Her Royal Highness lies in Amsterdam. On this ship is room for 36 persons. With this boat, you can sail here: Amsterdam, Amsterdam canal cruise. Saloon boat Proost van Sint Jan lies in Amsterdam. On this ship is room for 40 persons. With this boat, you can sail here: Amsterdam canal cruise. Saloon boat Avanti lies in Amsterdam. On this ship is room for 40 persons. With this boat, you can sail here: Amsterdam, Amsterdam canal cruise, The IJ. Saloon boat Viking lies in Amsterdam. On this ship is room for 50 persons. With this boat, you can sail here: The IJ, IJsselmeer, Loosdrechtse plassen. 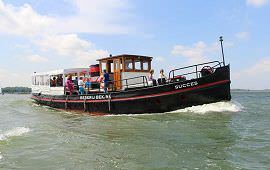 Saloon boat Succes lies in Amsterdam. On this ship is room for 50 persons. With this boat, you can sail here: The IJ, IJsselmeer, the Markermeer. Saloon boat Old Queen lies in Amsterdam. On this ship is room for 50 persons. 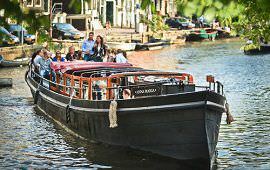 With this boat, you can sail here: Amsterdam canal cruise, The IJ. 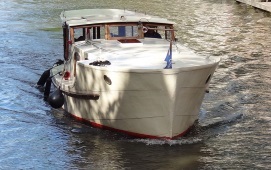 Saloon boat Monne de Miranda lies in Amsterdam. On this ship is room for 50 persons. With this boat, you can sail here: Amsterdam canal cruise. 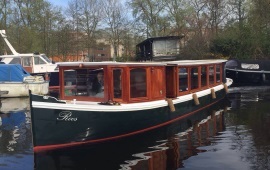 Saloon boat Roos lies in Amsterdam. On this ship is room for 50 persons. With this boat, you can sail here: Amsterdam, Amsterdam canal cruise, The IJ. Saloon boat Wolk lies in Amsterdam. On this ship is room for 50 persons. With this boat, you can sail here: Amsterdam canal cruise, The IJ. Saloon boat Soeverein lies in Amsterdam. On this ship is room for 55 persons. With this boat, you can sail here: Amsterdam canal cruise, The IJ. 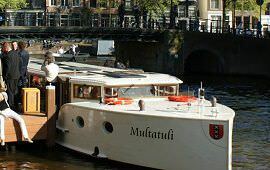 Saloon boat Multatuli lies in Amsterdam. On this ship is room for 60 persons. With this boat, you can sail here: Amsterdam canal cruise. 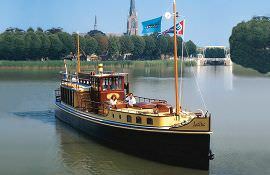 Saloon boat Adeline lies in Amsterdam. On this ship is room for 60 persons. 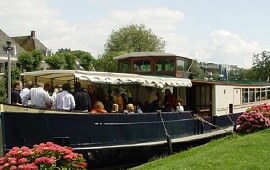 With this boat, you can sail here: Amsterdam canal cruise, The IJ, Haarlem. Saloon boat Lelie lies in Amsterdam. On this ship is room for 60 persons. With this boat, you can sail here: The IJ, Haarlem, Pernis. 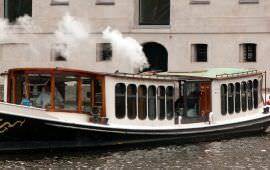 Saloon boat Couperus lies in Amsterdam. On this ship is room for 60 persons. With this boat, you can sail here: Amsterdam canal cruise, The IJ. Saloon boat Anna Maria lies in Amsterdam. On this ship is room for 60 persons. With this boat, you can sail here: Amsterdam, Amsterdam canal cruise, The IJ. 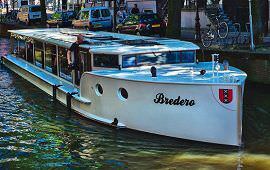 Saloon boat Bredero lies in Amsterdam. On this ship is room for 60 persons. With this boat, you can sail here: Amsterdam canal cruise, The IJ. 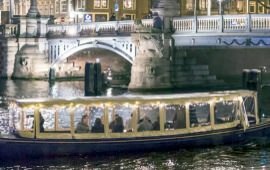 Saloon boat Vondel lies in Amsterdam. On this ship is room for 60 persons. With this boat, you can sail here: Amsterdam canal cruise, The IJ, Amstel. 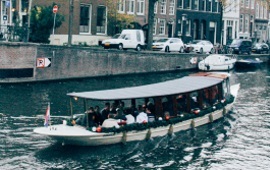 Saloon boat WM1 lies in Amsterdam. On this ship is room for 66 persons. With this boat, you can sail here: Amsterdam, Amsterdam canal cruise, The IJ. 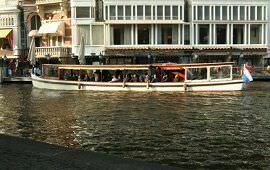 Saloon boat Dame van Amstel lies in Amsterdam. On this ship is room for 70 persons. 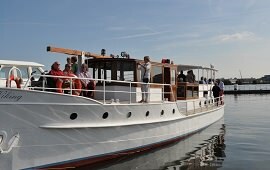 With this boat, you can sail here: Amsterdam canal cruise, The IJ, Haarlem. Saloon boat Elvira lies in Amsterdam. On this ship is room for 75 persons. With this boat, you can sail here: Amsterdam, The IJ, IJmeer / Pampus. Saloon boat Peter de Grote lies in Amsterdam. On this ship is room for 80 persons. With this boat, you can sail here: The IJ, IJsselmeer, Loosdrechtse plassen.